Want Free Access to Janet Jones Pics & Clips? Though constantly working all through the '80s, hot-moving, hard-bodied blonde Janet Jones never quite bounded up to the A-list as an actress. This icon of the leg-warmer era's career-launching gig as gyrating eye candy on TV’s Dance Fever did, however, score her plum roles in big screen fare such as A Chorus Line (1985) and Staying Alive (1984) as--can you guess?--a dancer. 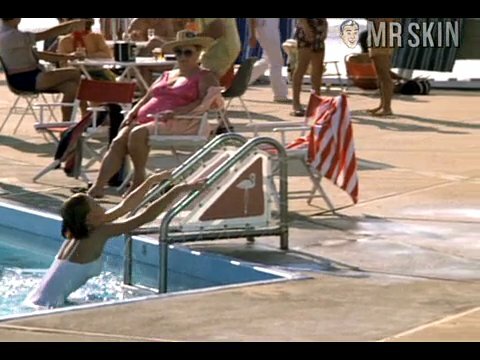 Janet's most indelible screen appearances to date, though, came via her turn as a gorgeous gymnast who fabulously flexed her flawless form in a sprayed-on leotard throughout the Olympic drama American Anthem (1986), and a bit of faux fanny courtesy of a body double in The Flamingo Kid (1984). Nonetheless, this radiantly ravishing athlete is best known as the wife of hockey great Wayne Gretzky. Score!